Ann our lovely lady angler getting all her gear ready. Mike R. bring all his tackle aboard. Anne L. with her beautiful dorado. Mike R. and Capt Art. Mike T. and his yellowfin. 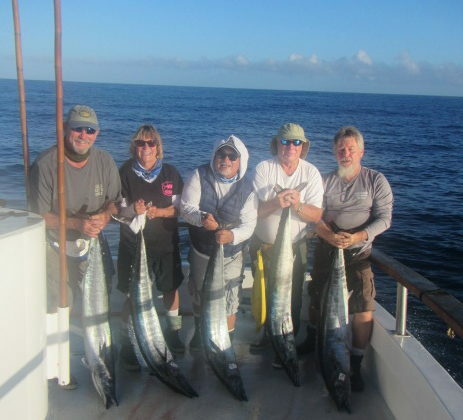 our nice group of wahoo. Dennis with his winning wahoo.